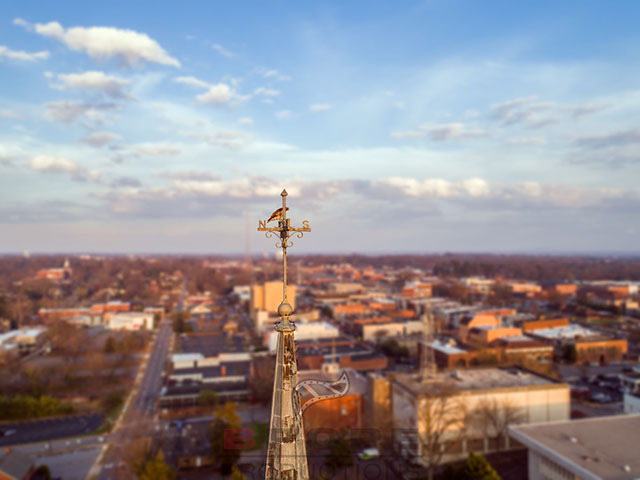 BPope Productions uses the latest in cutting edge aerial technology utilizing UAV (Unmanned Aerial Systems) to capture extremely-smooth aerial filming. Aerial Films can be incorporated in film productions such as documentaries and feature films but also has use in corporate videos, sports coverage and real estate agencies. Our DJI Phantom 4 Pro UAV shoots full 4K UHD video for the area’s best stabilized drone footage available. By using a adjustable aperture lens with a 84⁰ field of view, the cameras virtually eliminate the unwanted lens distortion that give you the unwanted “fish eye” look. By utilizing 4K video up to 60P and gimbal stabilization technology, our UAV provided some of the brightest, truest colors in aerial video today! The Phantom 4 Pro has five directions of obstacle sensing sensors, combined with advanced computer vision and processing to allow the Phantom to react to and avoid obstacles in its path. The Phantom 4 Pro also provides the ability to fly indoors. No longer is GPS required for a steady flight. Now with the integrated Vision Positioning System, the Phantom 4 UAVs can be safely flown indoors to obtain perspectives that were previously near impossible. *Aerial Photography and Video pricing are based on packages. All aerial shoots are different and many conditions apply such as wind speed, air conditions, temperature, power lines or trees in the way. Each job is very specific and we will need to review your specific needs and provide you with a written estimate of the total costs. We operate under 400 feet and 3 miles from any airport under FAA guidelines. 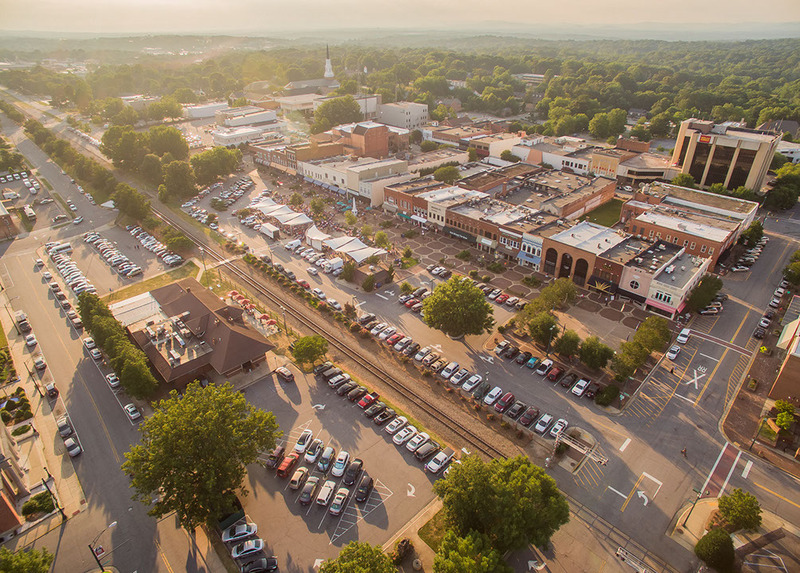 Businesses and Municipalities- Aerial Photography & video can offer a distinctive view that shows the location’s advantages, access, and surrounding development. It’s also great for showing a different vantage point of your business and facility by showing a birds eye view. Any business can increase their appeal for utilizing aerial photography & video. It’s guaranteed to attract your clients’ attention, thus may increase future sales. Small business can use drones instead of traditional aerial banner advertising which can save on budgets and give more targeted advertising. 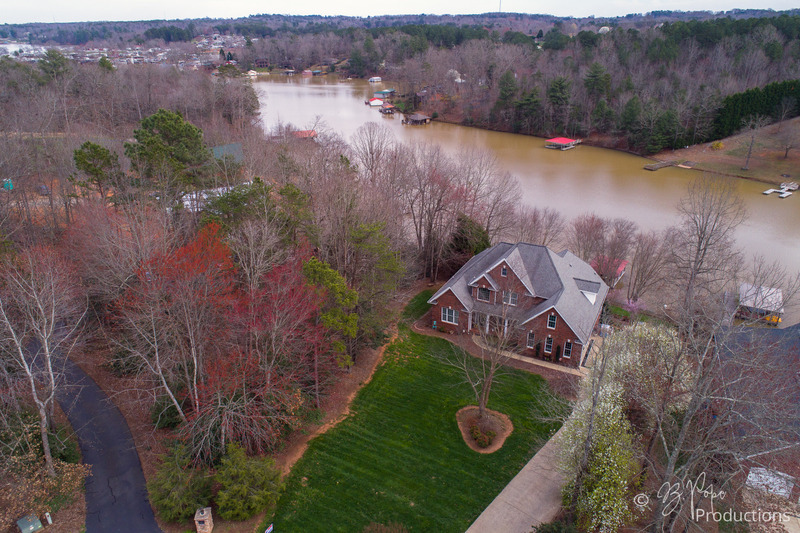 Real estate– Real estate agents can benefit from the unique advantages of aerial photos. Aerial photography & video can help sell your property offering a view that can only be seen through aerial means. What a unique way to showcase a property by separating yourself and your listings from the crowd! Special Events– An image from above is a great way to capture the overall picture of an event. These photos are great visual tools for future promotional material, media releases, and on websites. BPope Production also has FULL UAV LIABILITY INSURANCE that covers our UAV aerial photography and video up to $2 million (indoor & outdoor flights). Our UAV’s shoot 4K UHD and capture up to 20mp stills! BPope Productions is committed to delivering the high quality images and video, so the date for each shoot will be controlled by weather conditions. Follow us on our Facebook Page for when we go live! Go to our Facebook page at BPope Productions and Like our page and follow us as well! This will make sure you are notified first for when we go live! 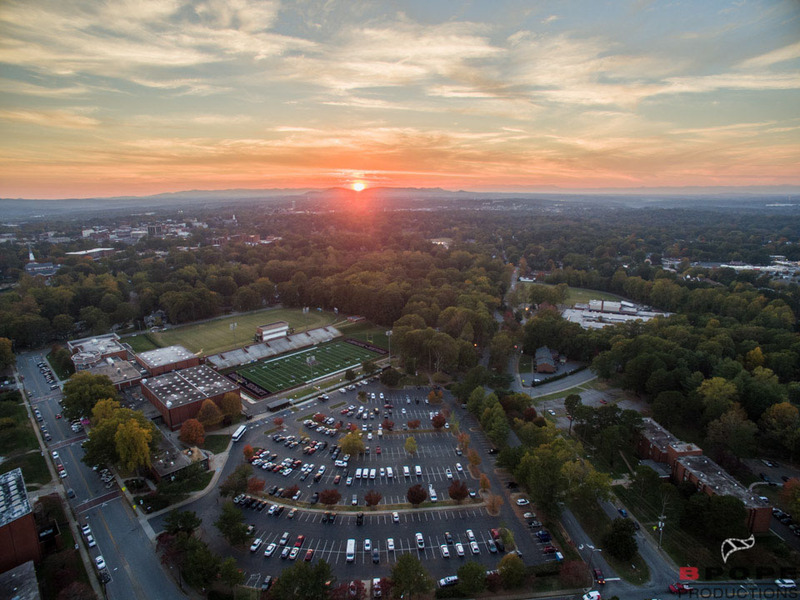 BPope Productions aerial photography and video covers: real estate, sporting events, commercial and residential areas to just name a few. Our UAV’s have numerous safety and fail-safe device and protocols. Our UAV’s utilizes built-in GPS flight mode and has a back-up “return-to-home” functionality. BPope Productions is fully insured and keep our flights within the regulations. Safety checks and precautions are made before and after each flight. A deposit of 1/2 is to be paid to hold the date of your UAV shoot. Remaining balance is due 7 days prior to the day of the shoot. No pictures and / or videos will be distributed, and no on-line proofs until full payment is received. A 5% monthly fee of the balance will be applied to payment if payment, in full, is not received before the wedding day. Fees and interest will apply for any returned checks, then only cashiers’ check or money order will be accepted. BPope Production also has FULL UAV LIABILITY INSURANCE that covers our UAV aerial photography and video. 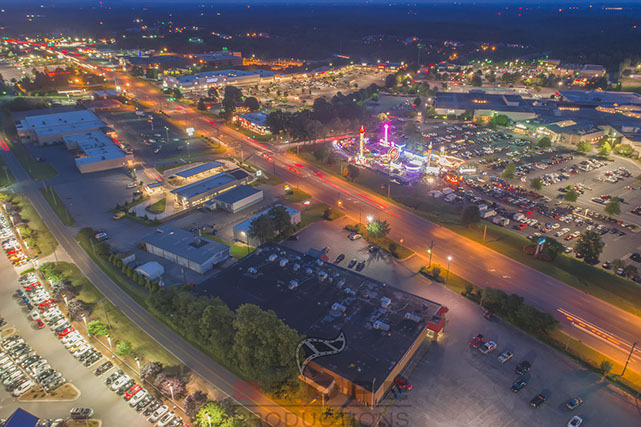 Aerial Photography and Video pricing are based on each project. All aerial shoots are different and many conditions apply such as wind speed, air conditions, temperature, power lines or trees in the way. Each job is very specific and we will need to review your specific needs and provide you with a written estimate of the total costs. We operate under 400 feet and 5 miles from any airport under FAA guidelines. We capture our film and photos from the latest in film technology using the DJI Phantom 4 Pro. The Phantom 4 Pro features up to 4K 60P video recording as well as 20MP photos with up to 30 frames per second. High-resolution and high-frame rates result in professional quality footage and allow for liquid-smooth slow motion playback. Our ultra high-definition cameras enable ultra high resolution and cinema quality captures of whatever it is you’re looking to film. Our Quad-copters also have built-in Lightbridge technology which gives us complete control of the shot with an immersive, live HD view of everything below, even when flying over a mile away! You tell us the shot you’re looking for, and we’ll make it happen! Because I LOVE IT! Being able to offer Aerial Cinematography is awesome and produces breath taking results. We think you will love it too! How high can the remote drone fly? How far? For safety reasons we fly at a max altitude of about 400 feet and a max horizontal distance of about 750 feet. It is very important the multicopter is always within line of sight. What if the weather is bad the day of my shoot? Your session will be rescheduled for another day subject to availability. Do you offer in house video and photo editing? Is the camera system smooth filming? Yes films smooth with no vibrations. Our DJI Phantom is mounted with a gyro stabilized gimbal on all 3 axis. Yes. We carry a specialized policy with $1 million coverage to make ensure that we have coverage in the rare instance where something goes wrong. Yes we can fly indoors provided there is enough room for safe operation. Can you capture aerial video over large crowds? Due to safety reasons, we never fly over groups of people using our larger aerial cams. When we do fly over people, we use only our small quadcopter, and we advise everyone so they can be aware. What is the process to hire for your service? Is drone photography and video legal? 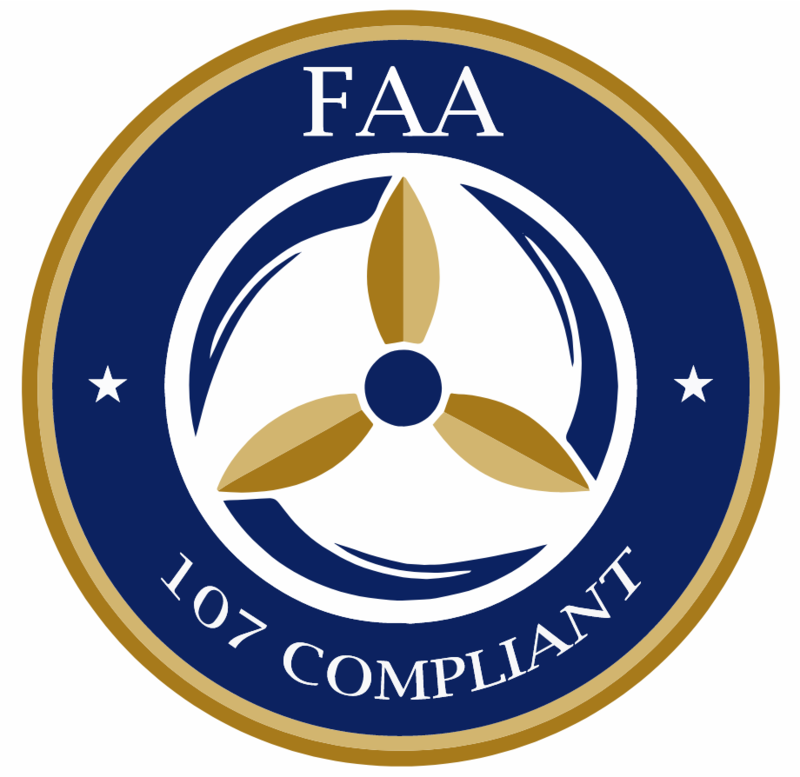 BPope Productions is now a FAA Part 107 compliant and licensed by the FAA for commercial operation. We also carry a NC UAS Certificate as well. We follow all federal guidelines when flying. We also have a full daytime waiver from the FAA to operate at night. We are also fully insured up to $1,000,000 for any of the projects we are a part of. We are dedicated to bringing you the very best in aerial photography and cinematography. What guidelines to do you have for drone operation? – Drones are given a through preflight inspection by the operator before each flight. – All Image In Flight Drones are under 55lbs take off weight. – Drone will always be Visual line-of-sight (VLOS) of the operator. – In some cases Image In Flight may bring a visual observer to add in maintaining VLOS. – Outdoor flights are limited to daylight hours. – Maximum drone airspeed is 100 mph (87 knots). – Maximum drone altitude is 400 feet above ground level. – Minimum weather visibility is 3 miles from control station. – If the shoot is within 5 miles of an airport for any part of – Class B, C, D or E airspace (We will research this before our first meeting) Image In Flight will need to secure permission for the flight before starting. Do you offer prints of your shots? Yes! Visit here to begin your order. Which controlled airspace & waivers do you have?